25% off sale code - Good through 12/14/16! I only offer this much of a discount once a year! Use this code - WINTERWONDER25 - at checkout for 25% off your order of $10 or more at my Etsy Shop! Offer ends on Wednesday, 12/14/16. This offer is not valid on custom-made orders or art commissions. Happy shopping and happy holidays all! 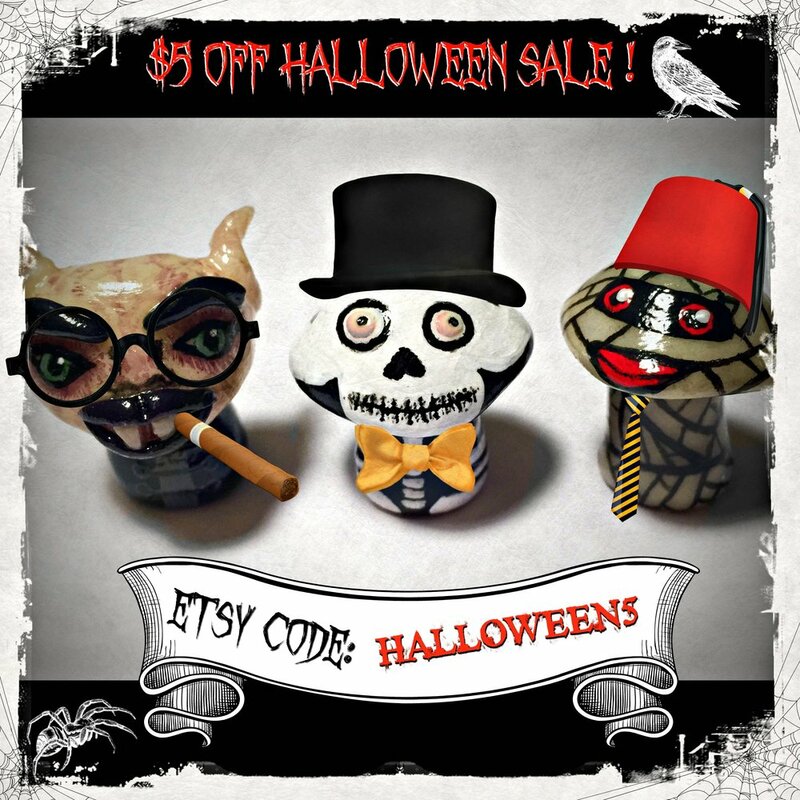 Visit and follow my Facebook, Twitter or Instagram for a special Etsy code (good thru 11/29)! Shop from jdsART.etsy.com or any small business on Etsy and show your support! Being featured again on Exclusively Etsy! I'm excited to say that I just opened up shop on my website! Though most of my art items are available to purchase at my Etsy Store, you will now be able to purchase many of my polymer clay sculptures and fine art prints through my Art Shop! Also - if you can, please follow me on my Facebook Page. To celebrate reaching over 1500 likes recently, I am releasing a special free shipping code exclusively to my Facebook followers tomorrow. Don't miss out!